Did you know there are Universal Remote Control Apps for your smartphone that are programmed to work with all your audio and video components? There are hundreds to choose from and some are free and some are paid. Instead of buying an actual universal remote, simply download one of the free apps from the Google Play Store or the Apple App Store. If your phone has an IR blaster then any of these apps will work with your phone. Many of these apps will be able to control over 200,000 different components! 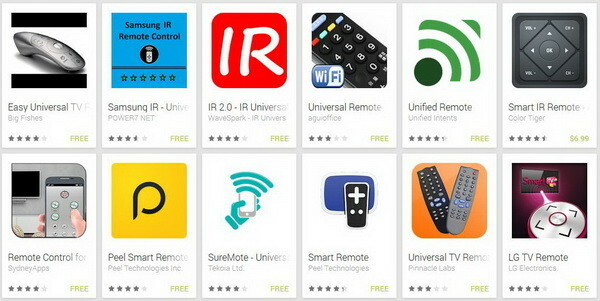 The most downloaded universal remote control app for android is IR 2.0 – IR Universal Remote. This app is FREE and can control ALL of your components including TV, Audio Receiver, Dish Network Box, Directv Box, Roku, Apple TV, Xbox, Playstation, and much more! Customize these Universal Remote apps for your specific components! 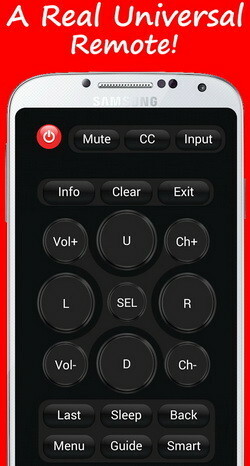 Other universal remote apps for android are, Samsung IR Universal Remote, Unified Remote, ASmart Remote IR, SureMote – Universal Remote, AnyMote Universal Remote + WiFi, and last but not least Galaxy Universal Remote. Here is the page that contains all of the Universal Remote Apps for Android phones. Below are a few videos of how some of these amazing apps can help you to control all of the audio and video components in your home. Here are more websites reviewing and suggesting different apps to make your phone a universal remote. The best to read are 5 Best Universal Remote Apps for Android, RoomieRemote for IOS and Android, MyURemote, and iPhone apps that control your devices. 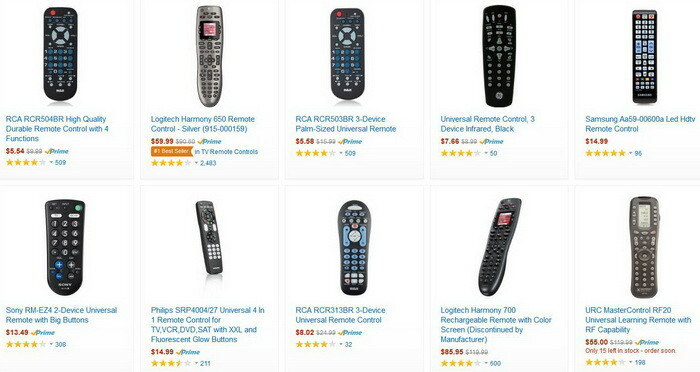 If you choose to just use a real Universal Remote Control, there are hundreds of different types. Here is a large selection of remote controls for TV, DVD, CD, Receiver, SAT, CABLE that are available online. Do you know of some great apps that turn your phone into a remote control? Try using an app on your LG Android phone as there are no codes in our database for that unit. I need the code to program a Seiki Television to a universal remote, and your site say that they have codes for all TV’s. Hopefully you will be able to help me.